Top 50 foods in Britain. Great taste 2012. A full strength vintage still cider made from freshly pressed West Country cider apples. Our Vintage Cider has won many awards, including 'Best Cider' in the International Beer & Cider Challenge. 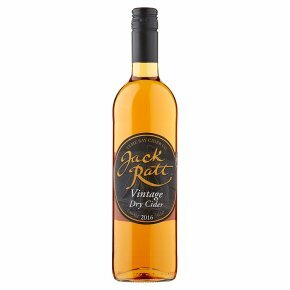 This cider is named after Jack Rattenbury, Notorious Lyme Bay smuggler (1778 - 1844).